The first months of spring are officially here and it’s wonderful to see the days getting longer and pops of colour emerging as the crocuses and daffodils start to bloom. It’s a lovely reminder that winter will soon be behind us! There are several wonderful events taking place in Edinburgh this month, so continue scrolling to discover what’s on and Mini Mack’s Edinburgh Top Tips: March & April 2019! What’s on in Edinburgh this March & April? Before we delve into our top tips for the month, let’s have a look at what is taking place in Edinburgh this March and April. A few highlights include Edinburgh’s West End Gin Festival, The Goonies Film with Live Orchestra, Edinburgh International Science Festival, and the Beltane Fire Festival which will bring the month of April to an exciting close. Edinburgh is blessed with so many fantastic places to dine out. From cafes serving up fresh Scottish produce to brilliant Gastropubs to fine dining, there’s something for everyone! If you’re looking for a little inspiration, here are a few of our current favourites. Located on Leith Walk, the Walnut may be small in size, but it has garnered quite a big name for itself in the Edinburgh food community. The homely British bistro serves up the best Scottish and British produce at affordable prices! 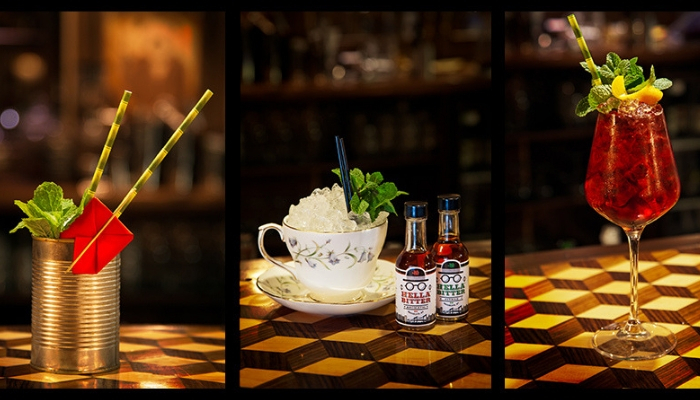 Dishoom’s first Scottish branch caused quite a stir in the Capital when it arrived in town and we can see why! The restaurant pays homage to the old Irani cafés of Bombay and offers authentic, moreish Indian dishes. 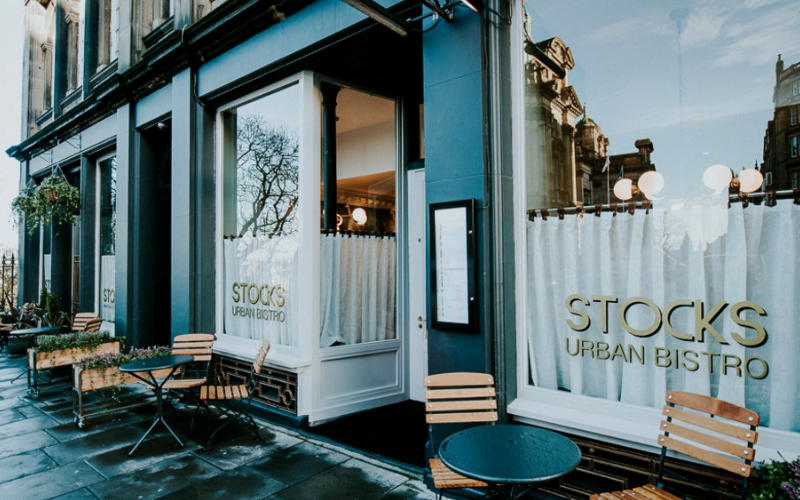 Situated just off Edinburgh’s historic Royal Mile, Stocks specialises in amazing seafood and steak dishes. They pride themselves on serving the best of Scottish produce, sourced from artisan suppliers and producers across the country! Despite its central location, the Fruitmarket Gallery’s café is still quite a hidden gem. It’s a lovely spot to enjoy brunch, lunch, or even just a coffee. The great thing is if you’re looking for vegan and gluten-free options there are plenty! As spring arrives, there’s no lovelier place to be than the Royal Botanic Gardens. The gardens reawaken after winter with their annual Snowdrop Festival, soon followed by an explosion of flowers of all colours and sizes, including rhododendrons, crocuses, and daffodils. 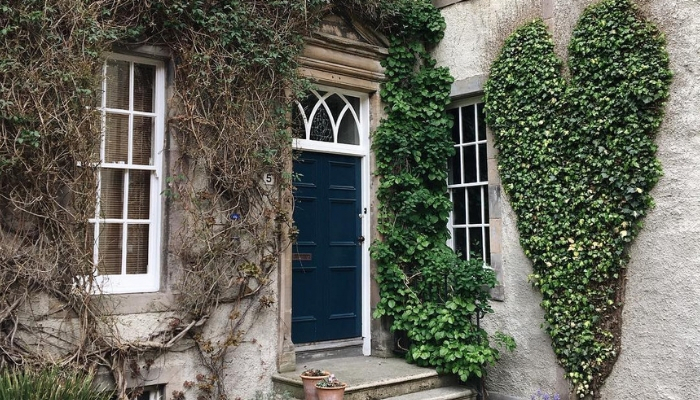 Due to the size of the gardens, it’s easy to spend an entire afternoon wandering about the grounds and if the weather suddenly changes, there’s the option to visit their beautiful glasshouses, one of their cafes, or Inverleith House. Speaking of Inverleith House, their new exhibition “The Fourth Cordis Prize for Tapestry” featuring the selected finalists of the biggest international award for tapestry has just opened. Before we continue, we just have to give a shout out to all the fantastic mums out there! If you’re looking to treat your mother but you’re stuck for an idea, we’ve come up with a few to help you out. There are various events around Edinburgh such as Mother’s Day Afternoon Tea at The Stables at Prestonfield which will be transformed into a magical Spring Garden, The Restoration Yard’s Mother’s Day Spring Wreath Making Workshop or Edinburgh’s West End Gin Festival. If you’re looking for gift ideas, why not take a stroll along St Stephen Street or Broughton Street, both streets are a haven for independent shops and you can find everything from bookshops to tea shops to lifestyle shops! 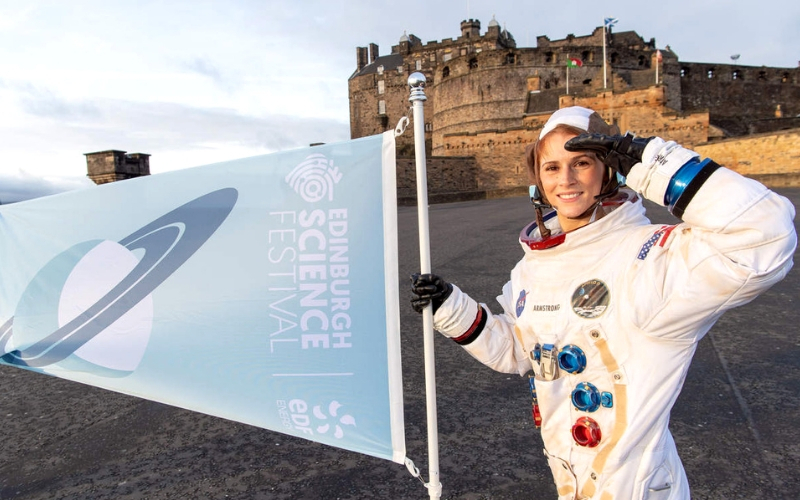 Edinburgh’s annual International Science Festival is back from the 6th–21st April with a fantastic programme aimed at all ages! This year’s theme “Frontiers” is inspired by the 50th anniversary of the Moon landings and takes place in various locations all over the city. If you’re in Edinburgh with your little ones don’t forget to bring them along to the City Art Centre for five floors of fun, hands-on science (a day pass allows access to all the events in the building). Another highlight, is the hugely popular GastroFest, a mini-festival of the science of food and drink, with events ranging from Cheeseology to Spice of Life! Even if you don’t have time to visit a specific venue or event, you’re sure to spot dazzling science demonstrations as you walk around the city as their “Street Science” team pop-up around the city. Chocolate lovers rejoice! There are so many great places to find artisan chocolate in Edinburgh and with Easter quickly approaching, Easter Eggs will soon be appearing on shelves across the city. A few places you’ll find handmade, beautiful Easter Eggs in Edinburgh include Edward & Irwyn, the Pastry Section, Coco Chocolatier, Mary’s Milk Bar, and The Chocolate Tree! It sounds like it’s going to be quite a start to spring! If you’d like to discover Edinburgh with our local lads, Rowan & Andy, we have a range of fantastic private mini car tours. Mini Mack tours offer a range of private Mini car tours in and around the heart of Edinburgh. It’s a great way to pack a lot into one day and see sights that most visitors (and even locals) have never seen. From private city tours to Whisky n’ Cheese tours to a day trip to St Andrews, there’s something for everyone! 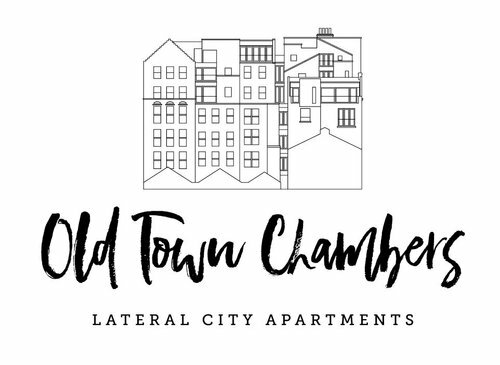 Click here to find out more - we can’t wait to meet you! From all of us here at Mini Mack Tours, we just wanted to wish you a very Happy New Year! What better way to start the New Year than with a new blog series, which will focus on our Edinburgh recommendations, must-see events, and shine a light on Edinburgh’s fantastic independent businesses. So, without further ado, let’s look at Mini Mack’s Edinburgh Top Tips: January & February 2019! What’s on in Edinburgh during January & February? Before we delve into our top tips for the month, let’s have a look at what exciting events are taking place in Edinburgh! Despite January and February being a few of the coldest months of the year, there’s nothing quite so refreshing and beautiful as a frosty morning walk. Located in Edinburgh’s historic Old Town, Holyrood Park is a great option to enjoy a walk. There are many different routes to choose from so to help you decide, here are two of our favourites. If you’re looking for something a little more strenuous with rewarding views over the city, we’d recommend a brisk hike up – one of Edinburgh’s extinct volcanoes - Arthur’s Seat. Click here to see the various routes available. Another option is to walk around Arthur’s Seat, which still affords marvellous views of Edinburgh, via a road called Queen’s Drive. This road will bring you to various landmarks, including St Anthony’s Chapel, Dunsapie Loch, and beautiful views over Duddingston Loch. New Year, new resolutions – but the January detox doesn’t mean having to compromise on taste! Located in one of the beautifully restored Edinburgh Arches, Gannet and Guga (3 East Market Street Arches) is an independent gourmet sandwich and salad bar who use fresh ingredients to create healthy yet scrumptious food. There’s limited seating but it’s a great place to grab lunch on the go. Message from the Skies is back, starting on 1st January and finishing on 25th January! 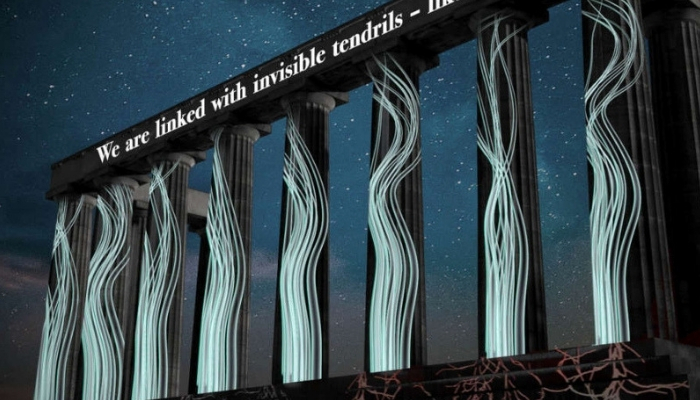 This year a selection of internationally celebrated writers have composed love letters to Europe which will then be projected in six locations - Custom House, Calton Hill, TechCube, Bongo Club, Tron Kirk, and Leith Library. If you’re looking for a slightly different way to spend your evening, this might be perfect! 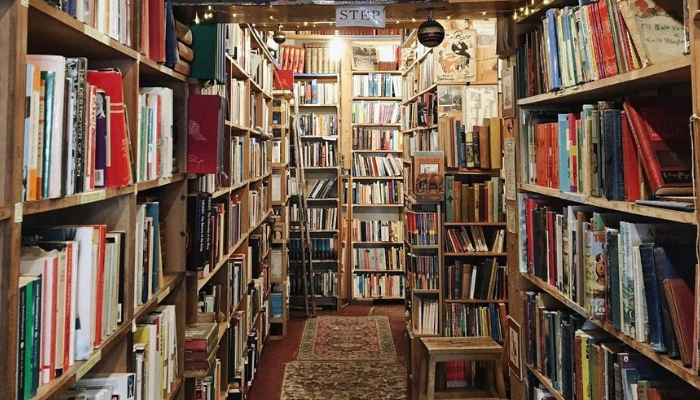 If one of your New Year’s resolutions is to read more often, you’re in luck as Edinburgh has a wonderful selection of both new and second-hand bookshops. With regards to second-hand bookshops, a few of our top picks are Armchair Books, Till’s Bookshop, and Edinburgh Books. Prefer to buy new? Golden Hare Books, Edinburgh Bookshop, and Typewronger Books are fantastic! At the heart of Edinburgh’s Old Town lies the impressive Royal Mile (the length of a Scottish Mile - just over a mile as we know today). As you walk along the Royal Mile, you’ll notice narrow closes (a Scottish term for a narrow lane) branching off and within these are hidden gems which are often overlooked. A few of our favourites are White Horse Close, Dunbar’s Close, Chessel Court, Advocates Close, and Lady Stairs Close. A visit to Dunbar’s Close is particularly appropriate as Burns Night is fast approaching. The 17th-century style garden was once home to Mrs. Love's oyster cellar, which Robert Burns was known to have visited to enjoy the wine, women and song! If you do visit, don’t forget to look up toward Calton Hill, where you’ll spot Burns’ monument. What better way to end the month than by celebrating Scotland’s National Bard by attending a Burn’s Supper? There are plenty to choose from including the Ghillie Dhu’s Burns Supper where you can expect the traditional address to the haggis and a Ceilidh to finish the evening! Looking for somewhere romantic to enjoy drinks with your better half? We highly recommend Panda & Sons - an eccentric bar fusing the classic Prohibition style Speakeasy and a nod to the Vintage style Barbershop. Half of the fun is finding the bar! Enter through the barbershop front and past the Speakeasy door to find your way in, where you’ll find some of the best cocktails in Edinburgh. This year’s Six Nations is set to be another exciting event for Scotland as several rounds will be hosted at BT Murrayfield Stadium (a short distance from the city centre). Be sure to book your tickets soon so as not to be disappointed! 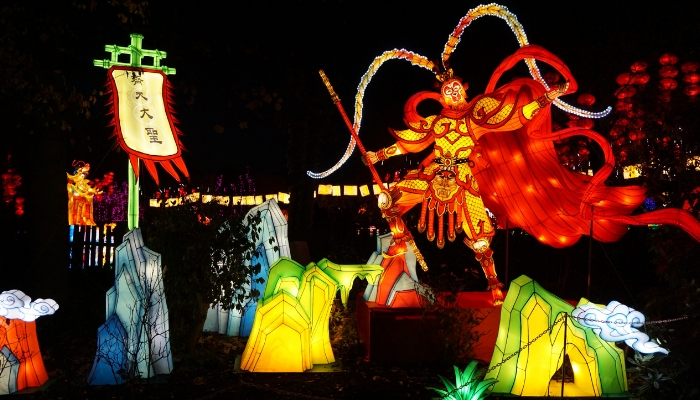 For the first time ever there will be a programme of special events taking place in Scotland’s capital to celebrate Chinese New Year and the Year of the Pig. Cultural highlights include a Chinese New Year Gala concert at the Usher Hall, a special Chinese music concert at Royal Botanic Gardens Edinburgh, the National Museums of Scotland will open its brand-new East Asia Galleries on 8th February, and local businesses in the city will welcome visitors with everything from traditional red envelopes to special cocktails. Sounds like a lot of fun! Last but not least, Angels with Bagpipes is located on Edinburgh’s historic Royal Mile and has gained a glowing reputation for using the best produce and ingredients to create delightful seasonal dishes. The restaurant has a cosy yet modern feel to it, perfect for a dinner date for two. In case you were wondering if there’s a story behind the name, there is indeed! 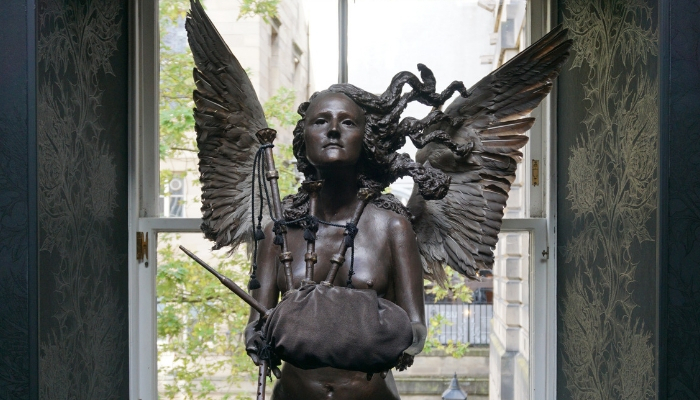 The restaurant sits opposite St Giles Cathedral which houses the world’s only wooden carved angel playing bagpipes! It sounds like it’s going to be quite a start to 2019! If you’d like to discover Edinburgh with our local lads, Rowan & Andy, we have a range of fantastic private mini car tours. It's now commonly known that the Mini Mack experience isn't just about visiting the hotspots of Edinburgh, but rather the hidden gems which even the locals don't know about. 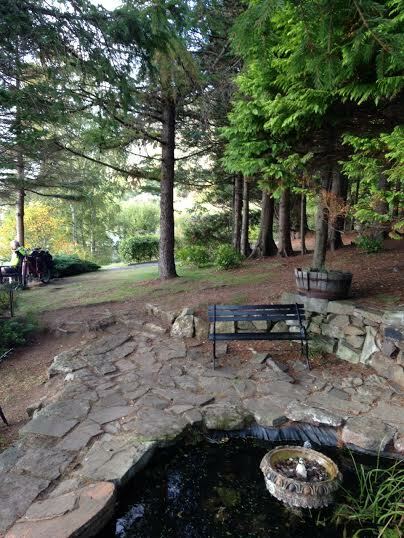 Dr Neil's Garden based down in Duddingston Village is the epitome of this ideal. A microcosm that has no right to survive in our cities climate, but actually thrives as one of the most picturesque and beautiful areas Edinburgh. 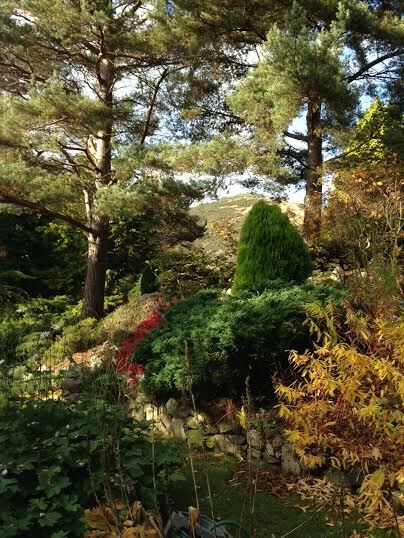 I'm not going to give you the history of the garden as you can find it here www.drneilsgarden.co.uk or simply come on tour with us. If you ever do venture down to Old Church Lane I can tell what you can expect. A collection of plants and trees collated from around the world protected by Arthurs Seat from the coastal off the Firth of Forth. A gang of geese, mallards, ducks and other water based birds which have their very own wildlife park connected beside the garden. Looking onto Duddingston loch you can imagine hundreds, even thousands of ice skaters and curlers using the loch during the very late 18th century when we had the coldest of winters. Look out for 'Stan the man' the cockiest of pheasants with the best coat in town looking after his harem of four hens. Perhaps most importantly, say hello to the Head Gardner of 14 years, Claudia, with her tribe of volunteers and trusty dog 'Bear'. Claudia is the next level creator, maintainer and protector of this wonderful ecosystem who at the drop of a hat will give you the common and latin name for any shrub, plant, tree or blade of grass found on her patch. The great thing about the tourism industry, especially within a niche market is the level of enthusiasm and general openness we have received within the industry since starting the Mini Mack Tours. smallcarBIGCITY (a classic car hire and tour company based in London) certainly falls into that bracket and warmly welcomed when they reached out to us to say they would be in Edinburgh for the weekend. When I say they, it was Tony Grant (Head Gasket of smallcar) and his lovely wife Julia who made the trip up North to check us Edinburgers out. Taking a slight detour from the normal route, we started off with a wee walk along Portobello promenade which is based in the East of Edinburgh, right on the Firth of Forth. True to a typical early March day, it was fricking freezing, but nice for our new friends to see something new and to my mind the beach is an under used asset for visitors of Edinburgh as a whole. From there we ventured off to our first 3 stops on the regular tour showcasing the hidden delights of our beautiful city. Since we have only been running our tours for 10 months it was great to hear from another fellow professional, their thoughts and opinions as to the locations and experience our tour offers, as well as get a few pointers and tips for future tours. If you are ever in London, you need to check these guys out www.smallcarbigcity.com With a fleet of beautiful classic minis, their tours will take you on experiences based on the Beatles, the Italian Job, treasure hunts, team building events as well as quick private tours around the parts of the city most people don't get to see - a bit like us :) Meeting your so called 'competitors' has been a pleasure as well as an education in making sure our customers have the best time while visiting their chosen city. After all, this is the reason why we do it!